Improvising with Keith Jarrett on 'Piano Jazz' Marian McPartland cornered Jarrett after his Carnegie Hall concert and asked him to guest on Piano Jazz. Jazz Sessions, a new feature, presents some of today's most exciting musicians as they chat and perform in the studio with public radio hosts from around the country. 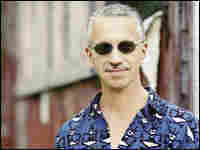 I've been after Keith Jarrett for many years now. He's one of the most creative improvisers out there and he's got legions of fans who want to hear more and more from him. I just knew he'd be a perfect guest on Piano Jazz. In 2005, I cornered Keith backstage at his Carnegie Hall concert and asked him to be on the show. He could shy away from me no longer! Keith invited me and our small crew out to his home studio where he had two beautiful pianos side by side — a perfect set-up for our Piano Jazz session. A former child prodigy, Jarrett began his classical piano training at the age of 3. He performed recitals and concerts throughout his childhood, some of which featured some of Jarrett's own compositions. Jarrett threw himself into jazz as a teenager, and attended Berkelee College briefly before moving to New York, where Art Blakey "discovered" the pianist and asked him to join the Jazz Messengers. A gig with Charles Lloyd's quartet followed — a group that included drummer Jack DeJohnette, who would become one of Jarrett's frequent musical collaborators. Jarrett played electric organ and electric piano when he and DeJohnette worked with Miles Davis in the early '70s. Jarrett began playing and recording as a leader in the late '60s with bassist Charlie Haden and drummer Paul Motian, and by the time he left the Miles Davis group, he was charting his own unique path on the jazz scene. In addition to his trio work and studio solo albums, Jarrett began performing improvised solo concerts. The recordings of these improvisatory concerts have been huge commercial successes — his album, The Koln Concert, is the best-selling solo piano recording of all time. In the '80s, Jarrett reunited with DeJohnette. They were joined by bassist Gary Peacock, and the group began applying their collective improvisatory talents to the American songbook, at a time when standards were considered passe. The group celebrated the 20th anniversary of their Standards Trio with the 2003 release of The Out of Towners, their 17th album together. Jarrett has also recorded a number of classical albums, including works by Bach, Mozart, Handel and Shostakovich, and given a number of classical recitals around the world playing more contemporary classical pieces by Bela Bartok, Peggy Glanville-Hicks and Lou Harrison. Every week on stations nationwide, Marian McPartland invites a young performer or jazz veteran for an hour of memories and musical improvisations. Marian McPartland's Piano Jazz is produced by South Carolina's SC ETV and Radio and distributed by NPR.